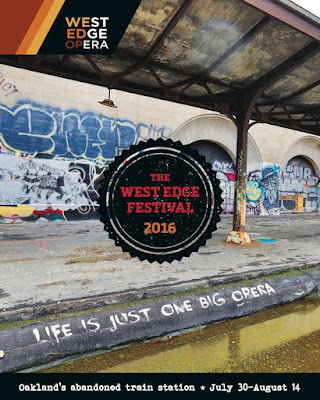 November 23, BERKELEY, CA – West Edge Opera will present its complete 2016 Festival at Oakland’s abandoned Train Station, July 30 through August 14. Under the combined artistic leadership of General/Artistic Director Mark Streshinsky and Music Director Jonathan Khuner, the Festival’s three operas will be Janáček’s The Cunning Little Vixen, Thomas Adés’ Powder Her Face, and Handel’s Agrippina. Exact dates, casting and ticket information will be announced at a later date. For more information go to westedgeopera.org or call (510) 841-1903.